In anticipation of one of the globe’s most popular sporting events, RNZ Music has conducted a 'scientific' evaluation of one of the FIFA World Cup’s enduring traditions: its musical anthems. Every World Cup has a controversial on-field moment (Diego Maradona’s 1986 Hand of God, Luis Suarez’s spontaneous rabies outbreak in 2014, and Zinedine Zidane’s 2006 career-ending headbutt) and the tournament's music also delivers. The first official FIFA anthem dates back to Chile 1962 with Los Ramblers’ ‘El Rock de Mundial’. Since then – at four-yearly intervals, FIFA has continued to deliver some of the most confounding music the world has ever heard, from artists as varied as Jennifer Lopez, Georgio Moroder, Lonnie Donegan, Anastacia, and Avicii. Past highlights have included pop-opera quartet Il Divo and RnB singer Toni Braxton teaming up in 2006, and Daryl Hall of Hall and Oates performing the 1994 US World Cup anthem. Will he return in 2026 when the tournament is again held in the USA? 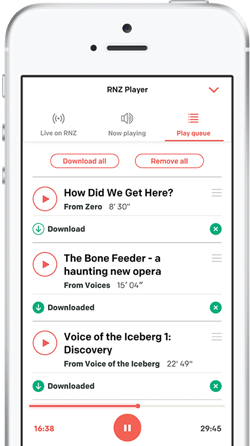 For the purposes of this 'study', RNZ Music rigorously tested decades of official and unofficial anthems from the elite levels of the beautiful game. 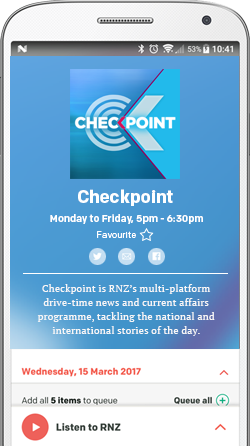 Foregoing sophisticated algorithms, a select group of RNZ Music’s finely tuned and reliable ears (ie. two football fans), exposed themselves to dangerously high levels of this musical form. In the service of scientific endeavour, they endured the anthems that have accompanied the world’s most popular sport. So, without further delay, may we present our conclusive and methodically researched findings... in the form of, the RNZ Music World Cup Anthem Bingo chart! Play along during the opening ceremony (or any time on YouTube) by using our handy chart to mark off the common themes and lyrics in the musical performances celebrating the competition's launch. Expect to hear from diehard footy fan and Port Vale club owner Robbie Williams along side others who will perform in front of 80,000 football fans in the stadium, and many millions all over the world. Not on the list of tonight's performers is Russia's own official World Cup anthem singer Natalia Oreiro. The host nation's anthem 'United By Love' is a perfect test case for our analytical matrix. The song title earns two easy points by including the words 'united' and 'love'. Oreiro also scores a hat trick in the multilingual component, showing rare talent in a solo artist by singing not only in Russian, but bravely tackling English and Spanish too. Many football anthems provide an inconceivably mismatched collection of performers. There's almost always a guest rapper – think Will Smith, Pitbull, K'Naan and Wyclef Jean. Extra points go to the multi-talented England player John Barnes for his rhyming contribution to England's Italia ‘90 anthem 'World In Motion' by New Order. This year’s official FIFA World Cup offering 'Live it Up’ is the musical equivalent of the 4-5-1 of football formation. It’s defensive, conservative, and basically leaves a lone performer to shoulder the responsibility of netting the goal. In this case, is it Diplo or Will Smith? This track also scores highly in the multilingual component, albeit controversially, when Estonian singer Era Istrefi delivers the English lyrics in a Caribbean/Jamaican accent. Our researchers note that Caribbean accents are a strongly recurring motif in the football anthem genre. The Colombian popstar is without doubt the patron saint, holy godmother, and most talented WAG (Wives and Girlfriends) of this musical genre. She is to football what Dame Shirley Bassey is to James Bond. Not only did she have a hit with 'Waka Waka: This is For Africa' in 2010, followed by 2014's 'La La La', she is also married to Spanish team La Furia Roja's veteran defender Gerard Pique. All Shakira's offerings score exceptionally well using our methodology. Additionally, her music videos follow the set formula for the genre: a group of spectators watch the performing artists dance; a sequence of street football in an impoverished locale (extra points if these areas were demolished to make way for the tournament infrastructure); and high profile international player cameo, extra credit for awkward and quickly edited montages. Uniquely, 'Waka Waka', her most popular anthem, may have been robbed from a Cameroonian marching chant, much like England’s heartbreaking and controversial 'Hand of God' loss to Argentina in the 1986 World Cup Final. All the key lyrical content, as well as the Latin hip swinging beats ensure that those on and off the field will be sashaying and dancing past the flat footed opposition. Ricky Martin is the undefeated champion of the genre. GOOOOAAAAAAAAAALLLLL.